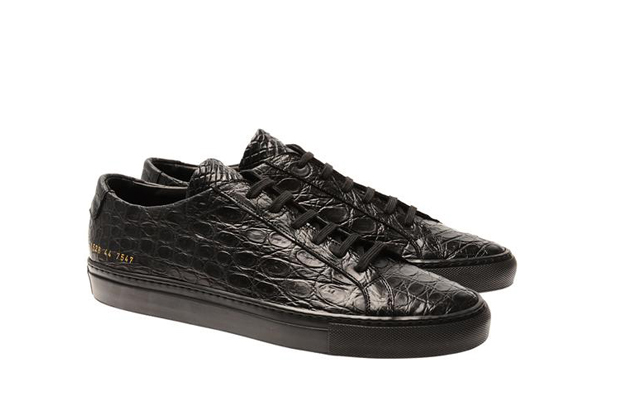 I literally fell off my chair when I saw this cold-blooded pair of Achilles low-top sneakers in luxurious black croc-skin by Common Projects for Cabinet de Curiosités. Priced at a staggering £2,400 this limited edition pair should definitely come with insurance just in case you step on poo! Get it at Browns in London!